Kids love Halloween. The goal is usually to collect as much candy as possible. 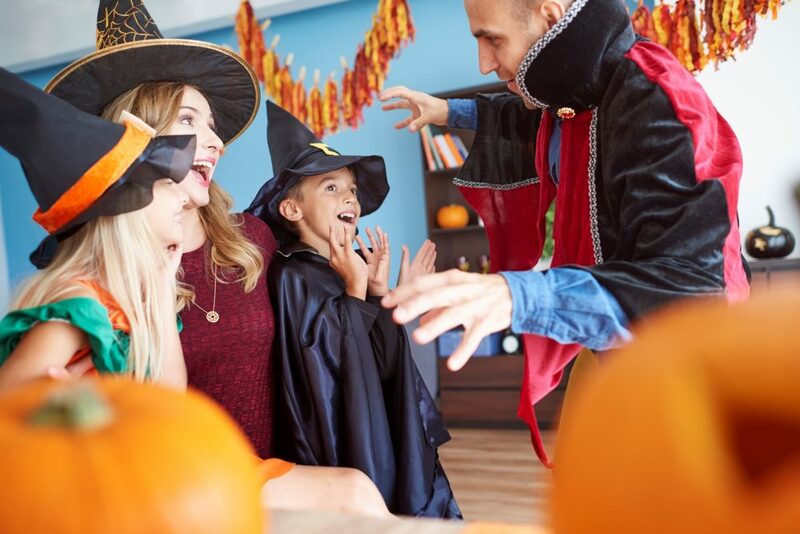 Expand the fun of this celebration with our Halloween games for kids of all ages. We have games for your Halloween party, inside games, and active outdoor games. 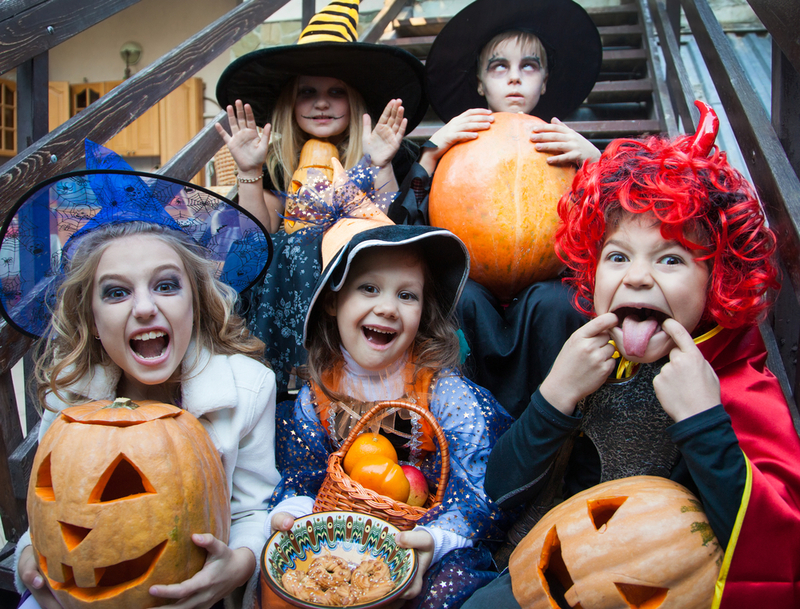 Read on to find the perfect Halloween game for you and your kids. 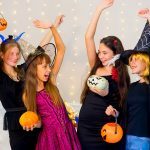 Halloween games for kid’s parties indoor need to work in a smaller space and not be messy. Many of these games are old favorites with a Halloween twist. You also will find some knew games your kids will love. You will need ten empty 2-liter soda bottles and small pumpkins to use as bowling balls. Spray paint the soda bottles white. After they dry, draw eyes and a mouth with a black permanent marker on each so that they resemble ghosts. Put some small pebbles or sand in the bottom of each bottle so that they will not fall over. Set them up like bowling pins and let each child attempt to knock them over. You can play this as teams if you wish. Provide a small prize for each child who gets a strike or spare. Younger children love tossing bean bags. Draw a pumpkin on a large piece of cardboard with a hole large enough for a bean bag where the mouth would be. Children toss a bean bag and try to get it through the mouth. Keep score if you wish for prizes. Blow up orange balloons and tie one with strings to each child’s ankle. Kids attempt to pop the balloons of the other players, while keeping theirs safe. The last child left with a balloon wins the game. You can play this game as teams, giving each team a different color of balloon. 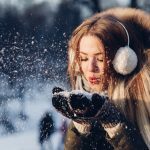 For this fun game, you will need plenty of wrapping material – paper towels, clean white sheet strips, wide white crepe paper, or paper towels. Divide your group into two teams. Each team chooses a child to serve as the mummy. Team members wrap the mummy in paper from head to toes, making sure the eyes, nose, and mouth remain uncovered. The first team to complete the mummy wrapping wins. Cut the top off a pumpkin and mash up the insides. The goal is for each child to see how many seeds you can get in a handful of the goop. Each child plunges their hand inside the pumpkin and puts their handful into a cup with their name on it. When everyone has finished, count the number of seeds in each cup. The child with the most seeds wins. Fill a bucket with cooked spaghetti, pasta, or rice. Place small toys inside and have the kids reach in for a prize. Fill a bucket with vanilla pudding and color it with red dye. Have the children plunge their hands into the “blood” to retrieve toys. This one is probably best for older children, as younger children might find it too creepy. Make sure you have plenty of water for the kids to rinse their hands when they finish. Older children will love this messy and fun game. Put plastic under your pies inside or move outside for this game. Provide wet towels for cleanup. Place gummy worms in the bottom of pie tins or shallow bowls. Use as many worms and plates as necessary for your group of kids, one worm pie for each kid. Cover the worms with whipped cream. Each player puts their hands behind their back and goes after the worms with their face. The first player to eat all their worms wins. 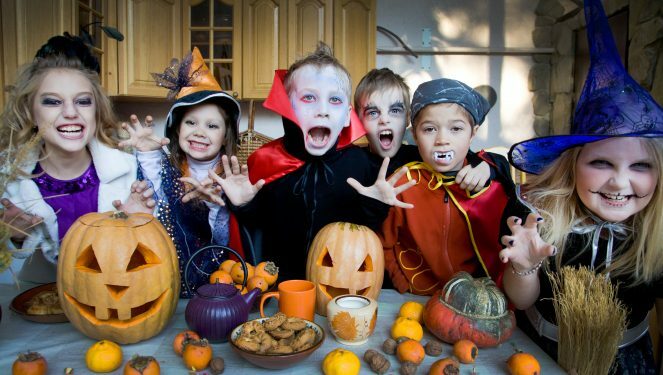 Halloween games for kids outside are great for working off extra energy. Additionally, some messy games are best played outside. 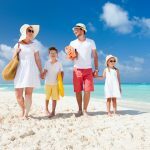 These options provide a fun for kids of every age. Divide your group into teams of from five to eight children. Teams compete against each other moving objects from one side of a set course to another. If a team member violates the rules, they must begin their turn again. The first team to complete the course with all team members wins the game. Candy Relay Race. Use any small candy (candy corn works well). Provide each team with two buckets and a spoon. The goal is to move all candies from the full bucket to the empty bucket. Costume Relay Race. Team members must race to the other side of the course, put on a costume, race back, remove the costume, and hand it to the next player. Ghost Relay Race. Use inflated white balloons for this fun race. Have the kids use markers for faces before the game begins. The balloons must be moved with the feet or the players’ bodies. They may not use their hands. You will need extra balloons in case one pops. Popcorn Relay Race. For older children, try this challenging relay race. Use plastic cups for transporting the popcorn. Popcorn is light and falls out of the cup very easily making the movement of the popcorn from one bucket to the other extremely challenging. Pumpkin Relay Race. Use orange balloons for younger children. 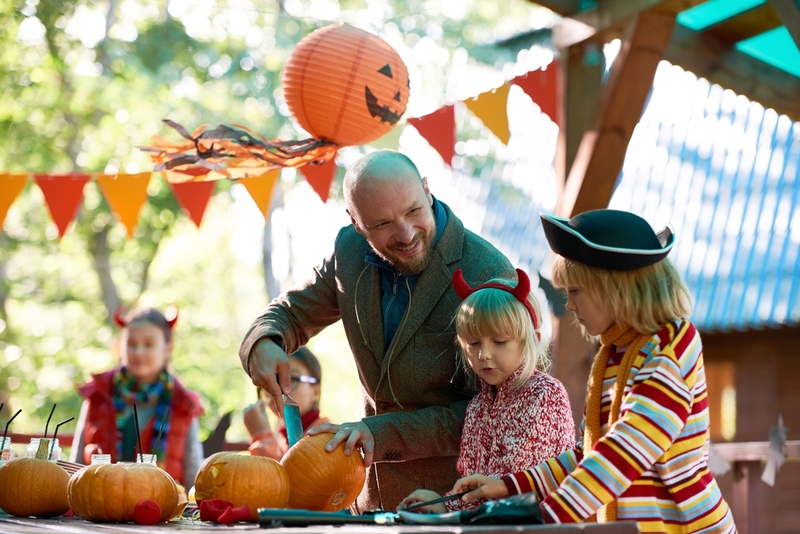 Older children will probably prefer small pumpkins to kick or roll to the finish line. Let the kids decorate the pumpkins with faces using permanent markers before the race. Have extra balloons to account for popping. Fill a small child’s swimming pool with shredded paper and hide small toys at the bottom. Runners must retrieve a toy before the next task. Inflate white balloons and attach them to the ground with a nail through the rubber at the end. Runners must pop a balloon with their foot. Use one of our relay race ideas shown above for one leg of the course. Set up a broom stick jump by laying a broom between two hay bales. Adjust the height for the age and size of the players. Alternatively, have children “limbo” under the broomstick. Use one or several large cardboard boxes to make a tunnel players must crawl through. Have kids compete for the best time for completion of the course, or just have fun running through it. Remembering that kids love Easter egg hunts is the inspiration for this fun game. Cut squares of net fabric or use snack size plastic food bags. Fill with candy and hide around the yard. Provide Halloween paper bags from the dollar store for the kids to fill with the candy they find. Try this game just before your party guests leave if you want to avoid dealing with hyper kids! Older children will love playing this in the dark. Choose a player to act as a ghost and hide. Have the other players remain together at the base, a well-lit area, such as a porch or deck. Have the searches count to 100 and then search for the hiding ghost. When someone spots the ghost, they yell, “Ghost in the graveyard!” and run back to the base. The Ghost chases the seekers, tagging as many as possible before getting back to the base. The first person tagged becomes the new ghost. Create a tray with Halloween themed items – a plastic spider or spider web, mini pumpkin, apple, candy, a small toy witch or ghost or a picture of one, a small stuffed black cat – whatever you can find at your local dollar store. Let each child look at the tray for five to ten seconds, depending upon of their age. Then cover the tray and have them try to remember what they saw. Each child can write down on a slip of paper what they remember or they can be put in pairs or teams. Based upon the children’s favorite Hot Potato game, use a mini pumpkin for this Halloween version. Have the children sit in a circle on the floor. Play a Halloween song and have the children pass the mini pumpkin until the music stops. The child with the pumpkin in out. The last one left is the winner. You can use a plastic mini pumpkin filled with candy and let the winner keep the pumpkin. Fill a jar with candy corn, counting as you do so. Have children guess how many candies are in the jar. The winner wins a prize or the jar of candy corn. Use this game as guests arrive at the party and announce the winner at the end to create suspense. A variation of Pin the Tail on the Donkey, this game only requires a cut out spider and a web drawn on the wall. Other variations of this game include pinning the nose on a cutout witch, a heart on a skeleton, a stem on a pumpkin, or a tail on a black cat. Look for patterns on the Internet as well as other ideas. These two games use Halloween themed music, such as Purple People Eater and Monster Mash. For Musical Chairs, have the kids sit in a circle of chairs, with enough for all but one to sit when the music stops. Whoever remains standing is out and the winner is the last one sitting. For Freeze Dance, have kids pose as monsters when the music stops. Bobbing for apples is a traditional Halloween game that works well for older children. However, a safer version of this game consists of tying powdered sugar donuts on strings and hanging them. Players attempt to eat the donuts with their hands tied behind their backs. Have towels for children to clean their faces when they finish their turn. Have all the children sit in a circle. Choose a child to leave the room to be “It” or ask for a volunteer. Have a child hide under a white sheet and instruct the remaining children to move around. The child chosen as “It” reenters the room and tries to determine which child is under the sheet. The child who played the ghost becomes “It” for the next round of the game. Begin this game with all the children sitting in a circle as still as possible, pretending that they are zombies. One child become “It” and attempts to make the zombies laugh. The child who keeps a straight face the longest wins and gets to play “It” for the next game. This easy game only requires paper plates full of small candies, empty plates, and straws. The goal is to move the candy from a full plate to an empty plate by sucking air through a straw. Players can compete against each other or work on teams. You can also see which player can move the most in 60 seconds. A fun variation is to move round chocolate candies with chopsticks! Remember to choose Halloween games appropriate for the age and maturity level of the children who will be playing. Many of our games can be modified easily by lowering the height of items, making objects larger or smaller, or shortening or lengthening the time for completion. Pick a game your group will love and have fun!